Gaining traction on the national scene with her preternatural rapping ability, Molly Brazy is looking to turn heads in 2018. Only 18-years-old but already with a loyal legion of fans, Molly Brazy gained notoriety by uploading freestyle videos to Instagram, ballooning her presence to over 845,500 followers. With an additional 265k likes on Facebook, 74k followers on Twitter, and 40k likes on SoundCloud, Molly Brazy is renowned in the streets and on social media for her rapping prowess. 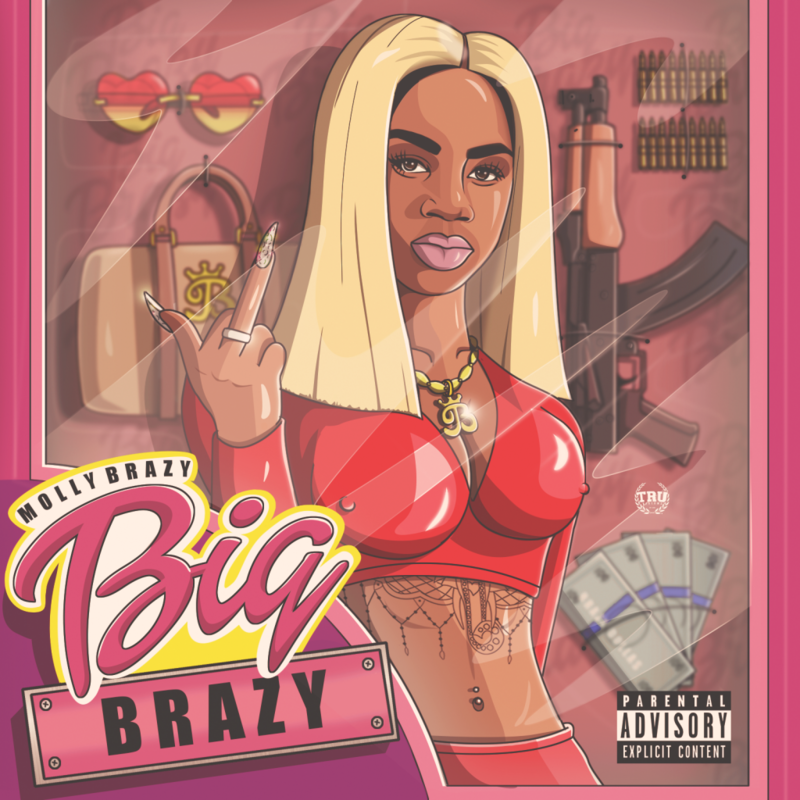 In her short career, Molly Brazy has already collaborated with some of the most significant figures in Detroit rap, including BandGang, RJ Lamont, Rocaine, and many others. Molly Brazy and Big Brazy will continue to bring heat to the long Detroit winter. Please contact Michelle or Isabel if interested in talking with Molly Brazy.